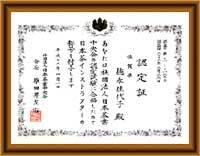 [Japanese Tea Instructor] is a title granted by the Central Japanese Tea Grower’s Consortium to cultural leaders possessed of discernment, technique, and education regarding Japanese Tea, and who are dedicated to promoting the diffusion of said traits. In April 2000, the first generation of 279 (among them 26 women) Tea Instructors was born. 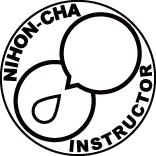 What is the Japanese Tea Instructor certification system? The Nihon Koki, a Japanese historical record, indicates that in the year 815A.D., the priest Eichu presented the Emperor with Tea, showing that Japanese Tea has been consumed in Japan for over 1000 years. Today, Tea continues to be consumed widely as Japan’s ‘national drink’. Furthermore, from the context of dietary culture, Japanese Tea contributed greatly to Japanese culture and it’s development of the Tea Ceremony. Recently, many foreign and domestic researchers have shown that compounds present in Japanese Tea hold many health benefits. This lends credence to the long history of Tea drinking, and has helped to promote widespread public interest in Japanese Tea. In the process of working toward the diffusion of knowledge regarding the cultural/healthful aspects of Japanese Tea, as well as promoting the development of Japanese Tea culture, the Central Japanese Tea Grower’s Consortium established in the year 2000 the Japanese Tea Instructor certification as a connection point between consumers and Japanese Tea. What is the Central Japanese Tea Grower’s Consortium? 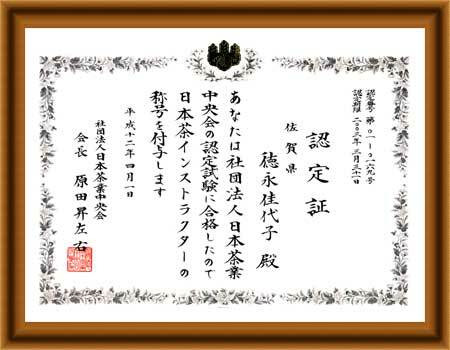 The Central Japanese Tea Grower’s Consortium is a public-interest corporation established as a central Tea grower’s union in 1884 with the goal of promoting the development of a strong Japanese Tea industry, and to provide comprehensive leadership and guidance to that industry.